FAREWELL MY FRIENDS I LOVED SO DEAR. I’VE GONE AND LEFT THIS VALE OF TEARS. 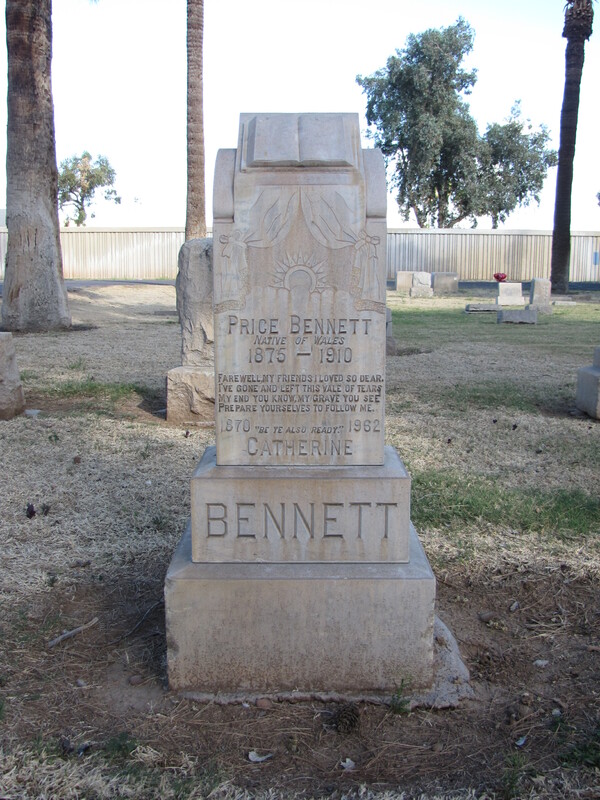 The epitaph on this gravestone from the Greenwood Cemetery at Phoenix, Arizona, sends the haunting message to remember death. It reminds us that life is short and at the end of that life everyone has the same destination–death. Death is a debt to nature due/Which I have paid & so must you. Whilst oe’r my grave you stand and see/Remember you must follow me. Hark from the tomb a dolful sound/Mine Eare attend the cry/Ye living men come view ye ground/Where you must shortly lie. Such as thou art, sometime was I/Such as I am, such shalt thou be. Death is a debt/By nature due/I’ve paid my debt/And so must you. For sudden death/Prepared be/Resign your breath/And follow me. Behold my friends, in me you all may see/An emblem of what you e’er must be/Remember you like me was form’d of dust/And with the earth unite again you must. My friends, ime here the first that come/And in this place for you there’s room. Passenger stop as you pass by/As you are now. so once was I/I had my share of worldly care/As I was living as you are/But God from all has set me free/Prepare for Death and follow me. Stop my friend! O take another view!/The dust that molders here/Was once belov’d like you!/No longer then on future time relay/Improve the present and prepare to die! He that was sweet to my repose/Now is become a stink under my nose/That is said of me/So it will be said of thee. Now she is dead and cannot stir/Her cheeks are like a faded rose./Which one of us must follow her/The Lord Almighty only knows. Learn then, ye living! by these mouths be taught/Of all these sepulchers, instruction true/That, soon or late, death also is your lot/And the next opening grave may yawn for you! Time was i stood as thoust dost now/And viewed the dead as thou dost me/Ere long thoult lie as low as I/And others stand and look at thee. A strange but favorite song of mine by Fleetwood Mac–DUST–was taken from the first two stanzas of a poem by the same name by Rupert Brooke…a rather interesting and fascinating take on death! You might want to look up the song or the poem! I love that version of the epitaph. Did you write it? 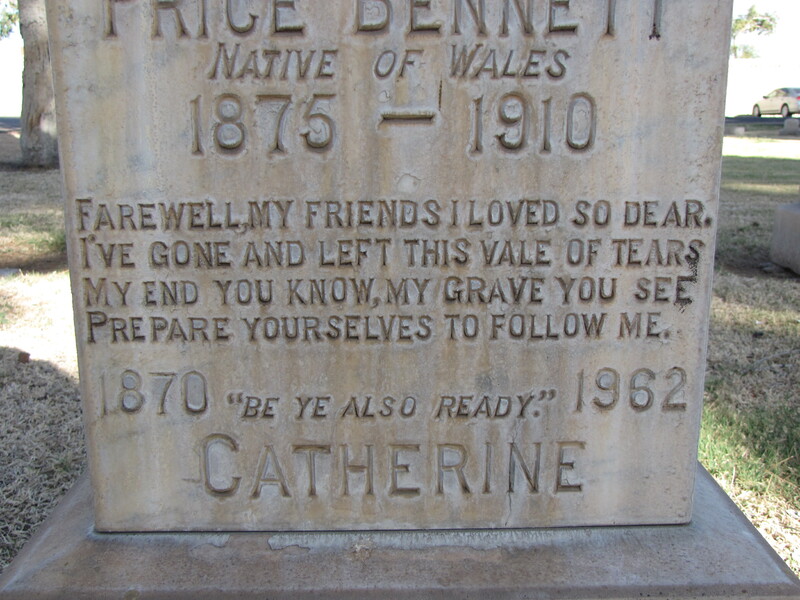 Would you Comment on my post about how this epitaph makes you feel?